OPCE INFORMACIJE - SLUŽBENO POTVRĐENE 11.12. Europa i Australija (PAL): Ozujak 2008. 20.10.2007. na japanskom PSN Storeu izlazi besplatni Demo GT5:P sa 7 (novih) automobila, Suzuka stazom i Time-Trial modom. Demo se mogao skinuti zaključno sa 30.11. Nove slike (11.12.) na kraju ovog threada. 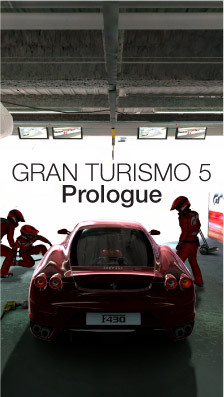 GamePro talks to the lead producer behind the Gran Turismo series, Kazunori Yamauchi, for an inside look at the PS3 driving sim Gran Turismo 5: Prologue...and the future of that mysterious PSP GT. This is a summary of the presentation made on Wednesday, October 24 at the “Gran Turismo 5 Prologue” press briefing that was held during the press preview at the “40th Tokyo Motor Show” currently being held at Makuhari Messe in Chiba prefecture. Producer Kazunori Yamauchi took the podium and started the presentation with the introduction: “Since we are at the Tokyo Motor Show today, I will introduce some of the game related material. Please feel free to try out the advanced movement and graphics on the test play unit”. Mr. Yamauchi first discussed the “Gran Turismo TV” service, which has begun operation in the Free Downloadable Demo. In addition to distribution of “Best MOTORing”, as well as all the races of “SUPER GT” and “D1 Gran Prix”, as previously announced, Mr. Yamauchi also announced distribution of the super-popular “Top Gear” automobile program produced by the BBC in Britain. Mr. Yamauchi then showed a promotional video for “Top Gear” before continuing his description. “The automobile programs scheduled for distribution on ‘Gran Turismo TV’ lie directly in the middle between programs distributed through regular television broadcasting and programs distributed through retail DVD sales, which are the epitome of a packaged product. Through online distribution over ‘Gran Turismo TV’, we expect that these programs will be viewable by a larger audience than was previously possible”. This was followed by an announcement of an online car dealership screen in “GT5 Prologue” that was newly added as part of taking the game online. Whereas the car dealership screen up until “Gran Turismo 4” only contained screens for selecting a car, the new online car dealership screen is the source that allows each brand to present a variety of information. A project called “Museum” was also introduced in a new effort to sustain interest in the vehicles by providing historical information about each brand. 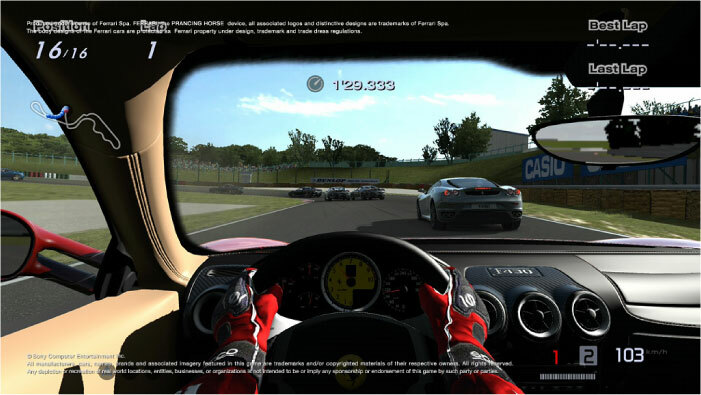 By going online, “Gran Turismo”, “car manufacturers and the media”, and the “users” are each able to distribute and share information with each other. Entering its 10th year, this is the shape of the new “Gran Turismo”. At the end of the presentation, Mr. Yamauchi wrapped up with the following remarks: “‘Gran Turismo’ is no longer our (Polyphony Digital) creation alone. We invite all of the users, all of the manufacturers, and all of the members of the media to join us in creating a new ‘GT’ together”. Hm. Jesmo? Pise u prvom threadu. Sad su samo malo nadrobili okolo, ali bit je ista. prvi put cujem za Muzej mogucnost. zanimljivo jako. Malo sam navlažen. O da. Skupljam pare lagano za ps3. I sotlicu. I volan. Hm..
imam pitanje. posto ste skinuli gt5pd, to znaci da imate japanski account jelda. tak nest. ugl, jel mislite kupit gt5p preko psn-a kad izadje? pise download version. sta bi to trebalo znacit? Pa postoji (valjda će postojati) opcija za download. Ali stvar je u tome što ne možeš preko stranih accounta prijaviti svoju kreditnu karticu (dakle, mi iz HR to ne možemo napraviti). Mislim da se može samo preko američkog accounta mada ja osobno nisam uspio. Za X360 nema nikakvih problema po tom pitanju. ok hvala na odgovoru i pojasnjenju. Igra ce se moci kupiti i kao Blu-Ray i kao download u Japanu, a ostaje za vidjeti hoce li to podrzavati i na drugim teritorijima. Krajem ljeta su bili procali kako ce PAL ici samo kao Blu-Ray. Znat cemo valjda do ozujka. Many fans of the series may also be pleased to learn that damage modelling has finally been implemented with Prologue. On the whole, the damage effects are quite realistic and we can safely say that the days of the Gran Turismo series being called a 'bumper car simulator' are over.